Eggplant, carrots, white onions, bell pepper, and basil sautéed in garlic chili sauce. Rice wok-fried with egg, carrot, sweet onion, cucumber, and broccoli. 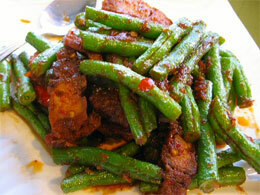 Green bean in Thai’d up curry paste with a touch of green bell pepper. 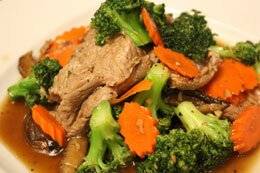 Snow pea pods, carrot and mushrooms in Thai-d up sauce. 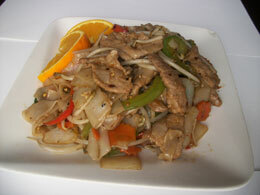 Onion, dried chili, bell pepper, topped with cashew nuts, sautéed in Thai’d up sauce. Steamed rice wok-fried with chilies, onion, bell pepper, and basil. 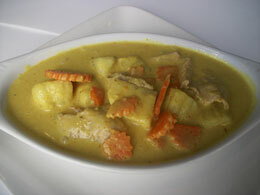 Curry is prepared using coconut milk and one of the three curry types: red, green, or yellow. Comes with white or brown (add $1) rice. 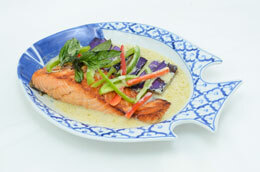 Noodles are at the core of far eastern cuisine and are great any time of the day. The noo-dle’s ability to soak up flavor and spices, while acquiring their unique texture is one of the reasons why this is a world-wide favorite. Flat noodle with, garlic, onion, carrots, bean sprouts, bell pepper, and fresh basil. Chicken, Shrimp ,scallions, broccoli ,carrot, snow pea, sprout in a clear soup. With scallions, bean sprouts, and cilantro in a dark clear broth.